Need Some Bridal Make-Up Inspiration? Follow These 7 MUAs On Instagram Right NOW! We still can’t get over Anushka Sharma’s bridal look. Apart from the beautiful Sabyasachi lehenga, it was her flawless make-up by Puneet B Saini, that gave brides-to-be, the world over, some serious wedding beauty goals. But while subtle pink make-up looked gorgeous on Anushka, it might not work well with every everyone. And as a soon-to-be bride, you’ve got to do your bit of research before blindly following trends. 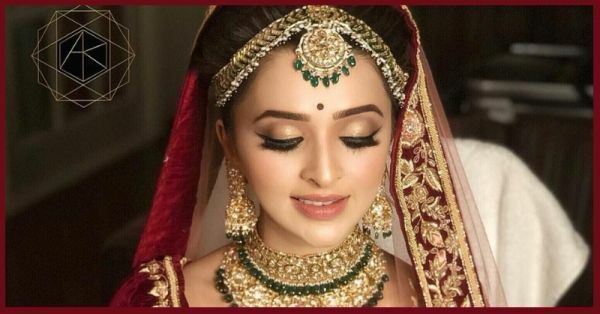 Here are some bridal make-up artists on Instagram that’ll not only inspire you to try new bridal make-up trends but will also help you look the best on your wedding day. Go follow them now! 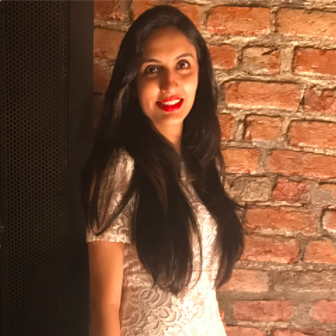 Although we’ve always been quite impressed with Amrit Kaur’s skills as a make-up artist, she recently came into the limelight after she did Kripa Mehta’s bridal make-up for all her shaadi functions. For all of you who don’t know Kripa Mehta, she’s Alia Bhatt’s bestie guys! Back to the topic of amazing MUAs, Amrit Kaur should definitely be someone you follow on Instagram for bridal make-up inspo. Next up, we have Puneet B Saini, the much loved and sought-after celebrity make-up artist, who made Anushka look like a dream on all her wedding functions. Puneet has been Anushka’s MUA for a very long time now. Not just Anushka, Alia Bhatt and Kareena Kapoor too trust her with her brush. Sometimes, all it takes is just one look for you to fall in love with an artist’s work and Rehat Brar is an example of that. Just a cursory glance at her Instagram feed is enough for one to realize just how talented this make-up prodigy is. Sakshi Sagar is another MUA who knows her make-up game far too well. She’s especially great with subtle and minimal make-up style. If you’re a bride who doesn’t want to go OTT with her look, Sakshi is the person to follow on Instagram! One thing common among Paveena Rathour’s brides is the use of subtle colours and bold eye make-up. Given that most brides these days go for a natural make-up look and bold eyes, it’s no surprise that Paveena is a popular favourite. The one thing we love most about Shruti Sharma and her make-up style is her versatility. All her bridal beauty avatars are unique in their own way, and being a master at what she does, Shruti nails every look with élan. Another much-loved and sought after make-up artist, Mallika Bhat is a celebrity favourite! She is famous for being Kareena Kapoor and Malaika Arora’s favourite MUA and also did Mira Rajput’s make-up for all her wedding functions. Well, need we say more? Now that we have given you our top MUAs to follow on Insta, we hope you’ll be able to make an informed choice. You are welcome!